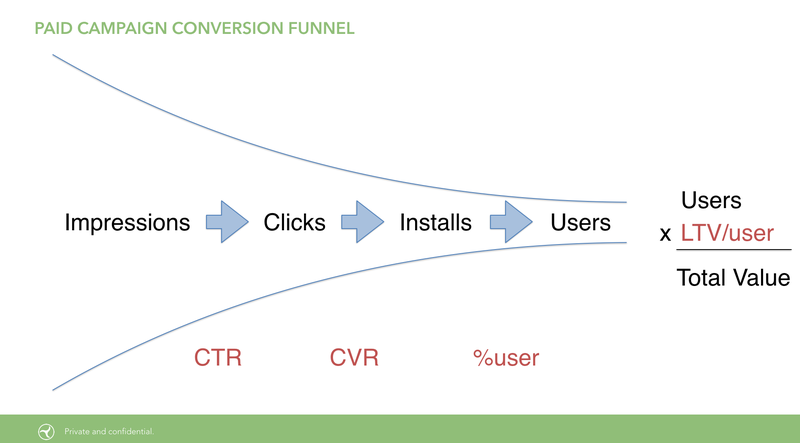 In my last few meetings with small developers who want to learn about paid User Acquisition, we talked about the paid marketing conversion funnel. It seems like a simple concept at the outset, but when marketers first start buying installs it's probably the most important concept to understand. I've seen this funnel represented in other ways too. Here's an analysis I've seen that abstracts away the payer and instead uses the "user" as a way to calculate Total Value. This imbeds assumptions into each payer, but the point is the same. 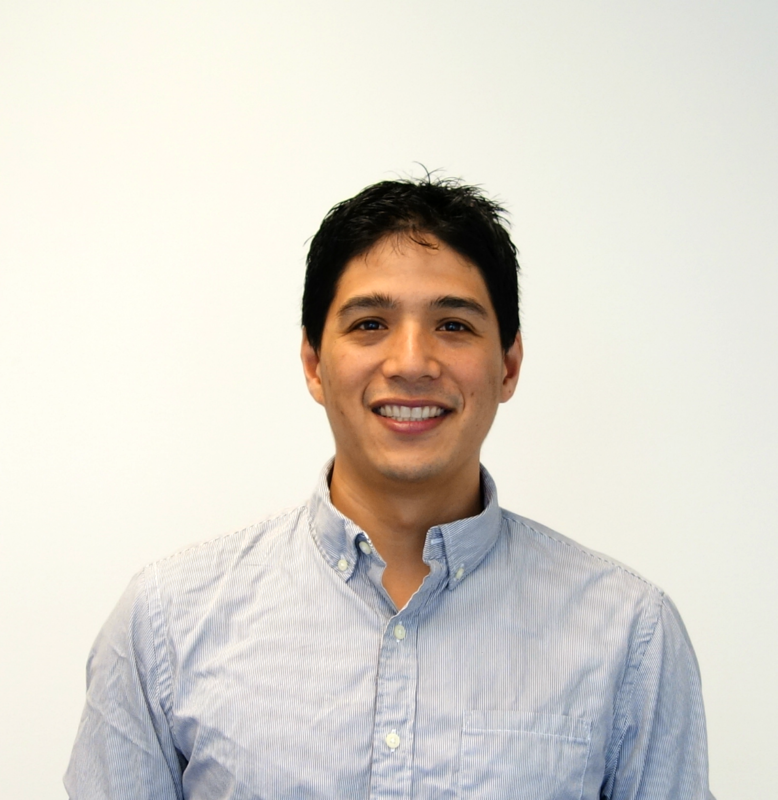 In order to run the most effective app marketing campaigns possible, it all comes down to how well you optimize this conversion funnel. From the impressions that you get from the networks, a certain number of those get clicked on; from those clicks a certain number will turn into installs; from those installs a certain number of users will end up purchasing something in your app. 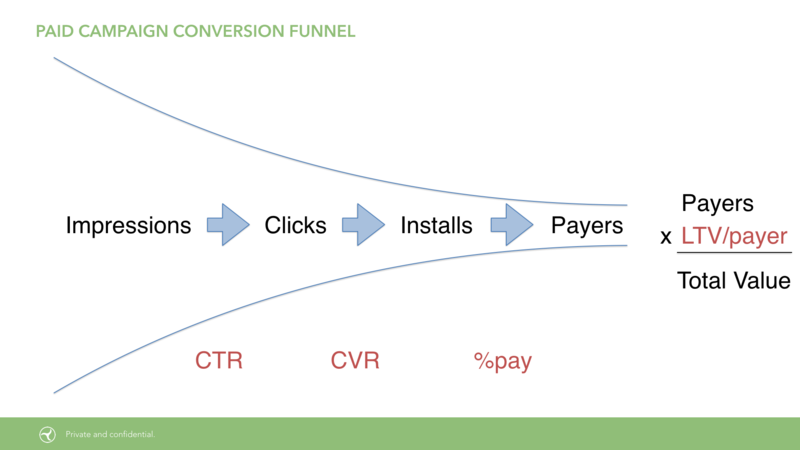 As you can see, CTR, CVR, %pay, and LTV/payer are all the levers that you can pull to increase the Total Value of your campaigns. So marketers have to understand these levers and their interactions with one another in order to wind up with the highest possible Total Value. For instance, let’s assume that your %pay is measured to be 1%. Simply moving that from 1% to 2% will double your Total Value of your campaigns. Increasing the Lifetime Value of each payer will have a similar benefit for your Total Value. And generally speaking, assuming all conversion rates at each point along the funnel remain the same, increasing your Impressions, Clicks and Installs will also boost your Total Value. However, it’s important to note that, especially for metrics nearest the top (or left hand side) of the funnel, conversion rates don’t always stay the same as the volume increases. For instance, doubling the number of impressions won’t necessarily double the Total Value, because it all depends on the quality of those impressions and the rate at which people click on them. Similarly, doubling the number of clicks does not mean that you’ll get double the number of installs. We’ve seen countless app marketing campaigns that generate plenty of clicks because the creative was sensational or particularly eye-catching, but once users land on the app’s download page they found that it wasn’t what they were hoping for and therefore they didn’t install it after all. But the point remains the same: to optimize your app’s Total Value, it all begins with a basic understanding of the paid marketing conversion funnel and the levers that come into play. In the end, it's important to measure and track each of the levers so that you can know where to focus your attention when attempting to increase Total Value.